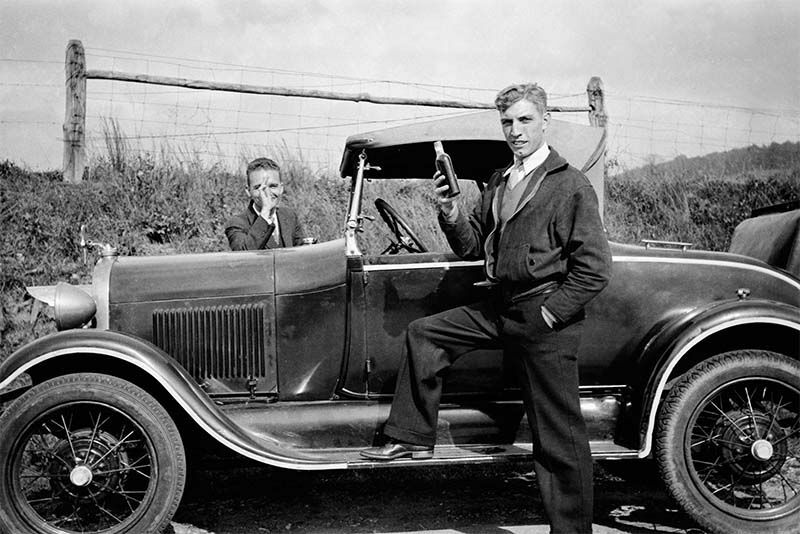 You read that correctly – outlaw moonshiners started America's favourite motorsport, Nascar. History is fun. Well, sometimes it's fun, so we thought we'd share a bit of rad history for you to use at the pub after work to help you sound smart. In this video, the chaps over at Donut Media give us a breakdown of how moonshine 'runners' were responsible for Nascar. Basically, during prohibition in the US really annoyed those who really wanted their favourite tipple. To outrun the cops, runners would transform their cars by stripping them out, modifying the engines and shocks, and wrapping their wheels with the best tyres they could find. They had to blend into the crowd though, so, basically, they drove the very first 'sleepers'. When prohibition ended, these runners had more time on their hands and, with these modified cars, they did what any petrolhead would do... they'd race! Long story short, this, likely illegal, street racing eventually was sanctioned and evolved into the racing we see today. Want to learn more, then check out the video below. Most Annoying Girlfriend Rides In Boyfriends Dodge Dakota, Funny Reactions! Turbocharged Jet-Powered Scooter Looks Like A Blast! Video: A Chick That Drives A 11000hp Dragster, Say What!? Video: Russian In A 560 Horsepower, Twin Turbo, 4.4 Litre V8 Bmw M5, Hits The Public Streets Of Moscow With Lots Of Tread To Melt! Video: Mustang Crosses The Finish Line At 196mph On The Rear Wheels!!! Video: Gt-r Killer ' Duramax Swapped 'coal-orado' Is Absolutely Insane! Video: Funnycar Drag-racer Pulls The Perfect Wheelie!